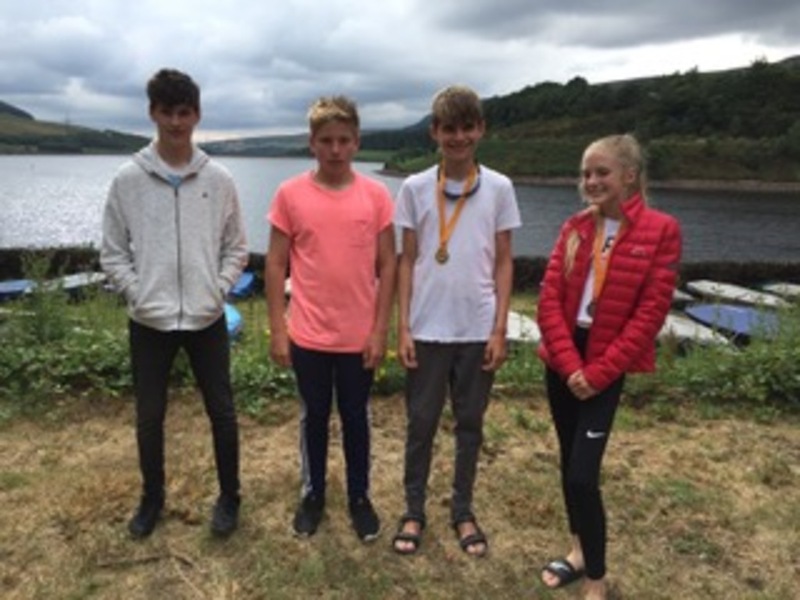 Our Junior Windsurf Fleet (Team 15) have enjoyed a summer of sailing; they have taken part in the Midlands Team 15 InterClub racing series and not only experienced sailing at other clubs but meeting other Junior Windsurfers. Their journey has taken them from Burton to Glossop to Weymouth and Pwllheli - thanks to their parents going that extra mile. They have also recently returned from a Techno 293 UK Summer Camp at Northampton Sailing Club and all benefitted from the coaching they received. They were with their coaches from 8am until 8pm; the week involved sports games, team building skills, healthy eating, kit preparation and rig tuning and most importantly lots of windsurfing and racing techniques. It was a fun week which inspired all who took part and was great preparation for their next upcoming event UKWA National Windsurfing Championships & T15 Championship Cup held at Rutland Water in September. The team have been working hard on their race skills and are very excited to be representing NCSC in the Team 15 Championships as well as themselves individually. With the revival of Team 15 at NCSC we have seen a growing interest in windsurfing at our club; either recreationally or racing. Our racing activity has been recognised by RYA and T15 coaches as a contributing factor to the quality of our youth squad. Wishing them well at Rutland. The club is in the process of rebuilding our Team 15 initiative, thanks to Julie Hall, Guy and Sue Sprekley and helpers who are now regularly sailing and improving on a Wednesday night. The number is growing as more do the Start course, and hopefully next year some of the Team 15ers will become Assistant Instructors. The idea of Team 15 is to have a group of regular attendees to build up junior windsurfing in the club, from there you can go in any direction, racing, instruction, freestyle, waves or just plain fun! The RYA has some info on its site. We would like youngsters to have achieved RYA Stage 2 at least via a course, otherwise they get very little out of the sessions and then tend to give up. The intention is for this to continue to grow and we will coach youngsters into whatever sphere they wish to go. Wednesday night use of equipment is free (like Saturday Club) but we would value help from parents. If there is an RYA course that takes preference, otherwise equipment is either shared or first come first served. Come down on Wednesdays after 4,30pm approx and join us.